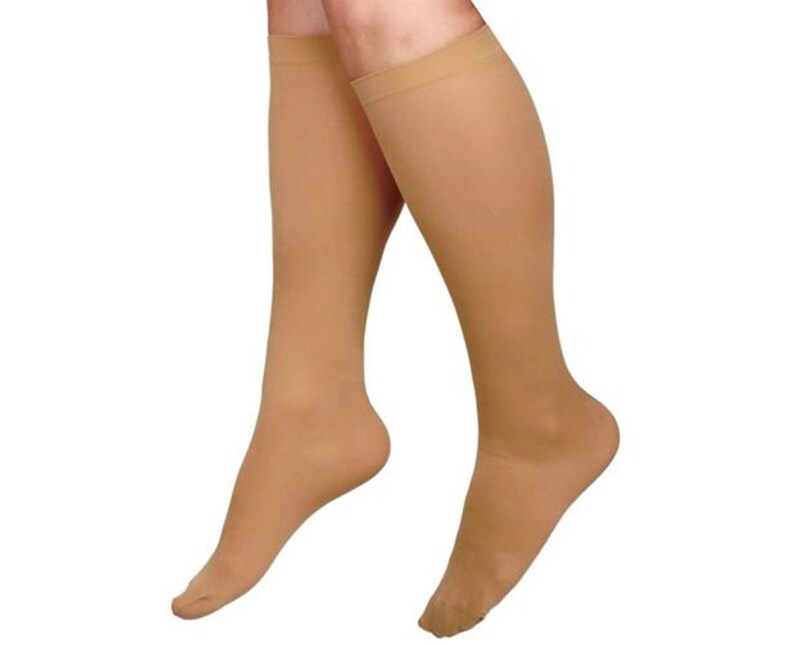 Curad's Beige 15-20 mmHg Knee Length Compression Hosiery offers hospital-quality medical compression to help provide controlled pressure to the leg. 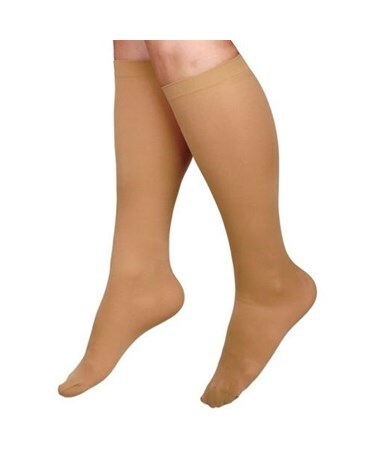 Made of fashionable sheer nylon/spandex, they are beige in color and latex-free. 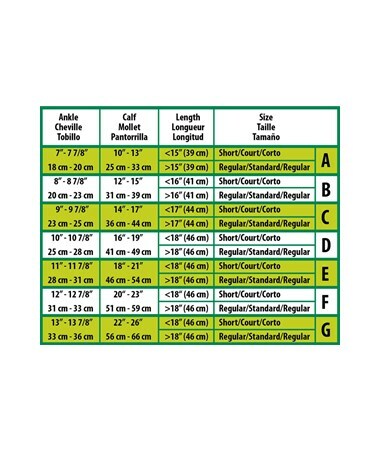 We offer Curad's Beige 15-20 mmHg Knee Length Compression Hosiery in seven sizes, each in regular or short varieties and sold individually or by the case (Size F and G only sold individually). Select from the drop down menu above and order online direct by clicking "add to cart!"